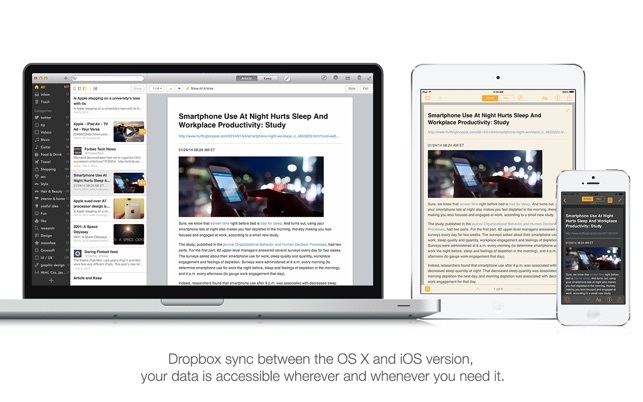 Keep Everything saves web pages to Dropbox so you can read them later, anytime, anywhere. It can save all or just a portion of web page as well as data from other applications, such as Twitter, YouTube, Pocket, and ReadKit and with Dropbox sync between the OS X and iOS version, your data is accessible wherever and whenever you need it. 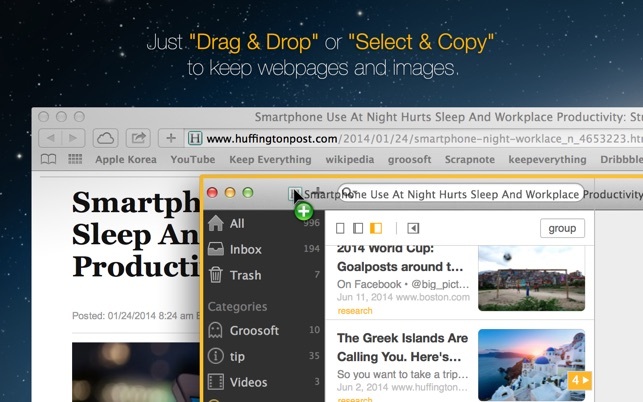 • Just "Drag & Drop" or "Select & Copy" to keep webpages and images. 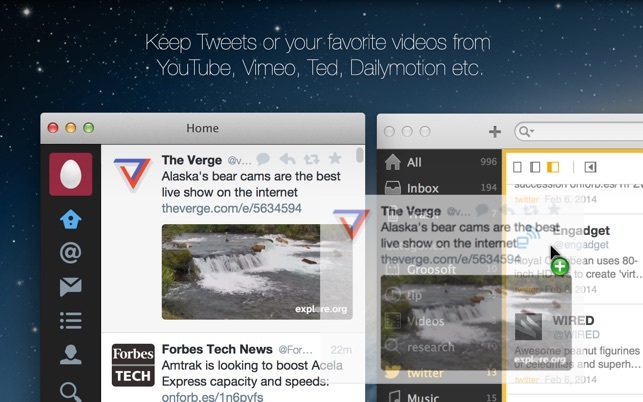 • Keep Tweets or your favorite videos from YouTube, Vimeo, Ted, Dailymotion etc. • The “Kept” webpage is entirely archived on your offline storage. You get the whole page: text, images and links. • "Article" produces a clean, uncluttered, page optimized for reading and structured in Markdown. 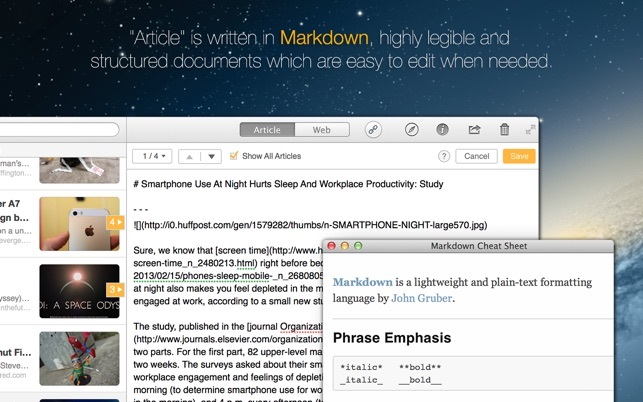 • "Article" is written in Markdown, highly legible and structured documents which are easy to edit when needed. • A tried and tested sync solution with auto backups and accessible almost everywhere. Rest easy knowing your data is backed up and safe. 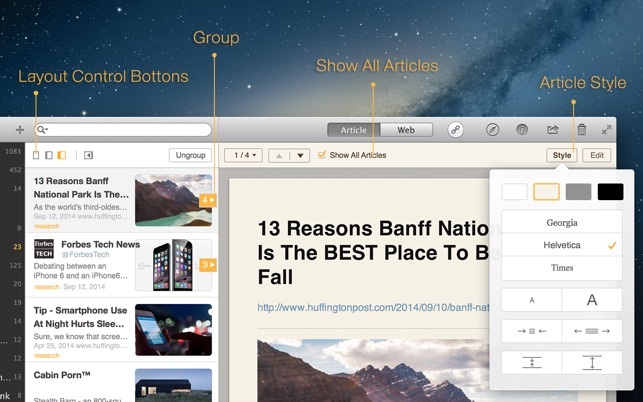 • Stay organized and and easily find what you're looking for with Categories.